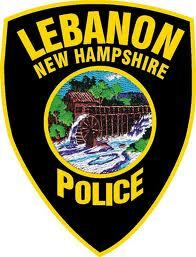 On August 18, 2016 at 11:37pm, a Lebanon Police Officer checked on a suspicious vehicle in a parking lot on Route 10 where they located a male and female in the vehicle. During the course of the investigation, it was found that the female, Sandi Adelyn Caalim, age 25, of Palo Alto, California was intoxicated. She was uncooperative with officers on scene and taken into protective custody due to her level of intoxication. Caalim resisted arrest but was ultimately taken into custody. While being processed at the Lebanon Police Department, Caalim struck an officer in the arm. She was charged with Resisting Arrest or Detention and Simple Assault, both Class A misdemeanors. Caalim was released on personal recognizance bail and issued a summons to appear at the Lebanon District Division, New Hampshire Second Circuit Court on October 17, 2016.